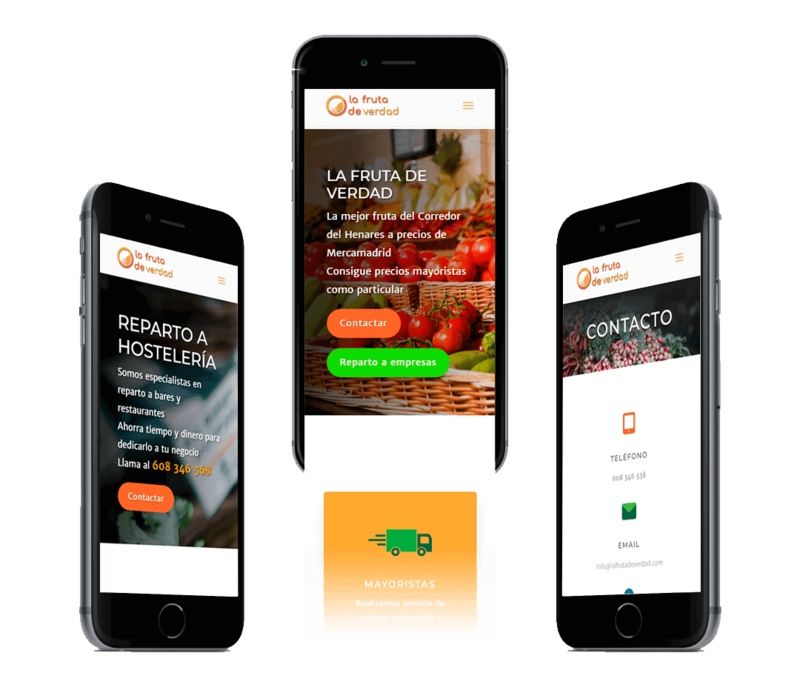 “La fruta de verdad” is a group of people with great experience in the world of direct sales and distribution of fruit and vegetables. They have decided to take the leap online. I made a complete design of the website, with a modern appearance and appropriate to the philosophy that is wanted to transmit. It is a site that can be easily extended to online store in the future. This a corporate website that describes the objective and proposal of the company. Calls to action are introduced to help to contact the company.